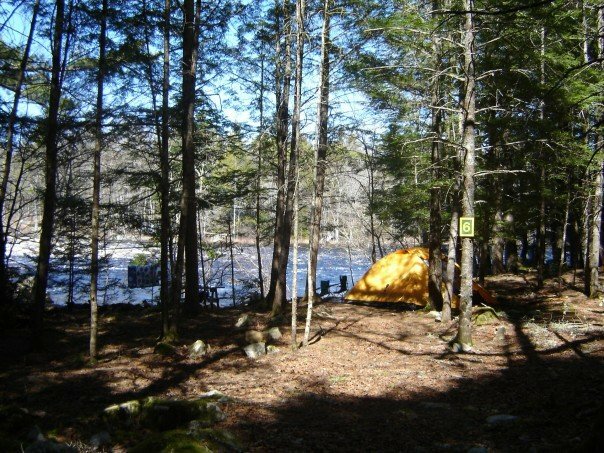 Bear Falls Wilderness Campground is open year round and suitable for corporate outings, special events, music festivals, weddings, filming locations, and winter camping. Due to the large amount of damage done to the trees at the campground last season (axe and hatchet marks, birch bark peeled off, etc. ), I will be inspecting each site before and after each visit to ensure these types of damages do not occur again. If damages are found, charges will be pressed. I apologize if this seems harsh, but the ancient hemlock trees are very special to me and it disturbs me that people think vandalizing them is acceptable. Please pass this on to the other members of your group. Thank you for understanding. Bear Falls Sites (20): Easy access sites with incredible views located directly along the river. These sites are great for those who love tenting but don't want to exhaust themselves getting there. Old Mill Sites (5): Private, easy access sites located along the river near where the Old Mill once stood. These sites are excellent for family get-aways. Group Sites (2): Located along the river, these sites are very private. Perfect for corporate outings or larger groups. $28 per site based on a family of 4 people, $6 for each extra person, maximum 6 people, one tent maximum per site. $80 per night for up to 8 people, $10 for each extra person, maximum 20 people on site. $40 per night for up to 4 people, $10 for each extra person, maximum 10 people on site. 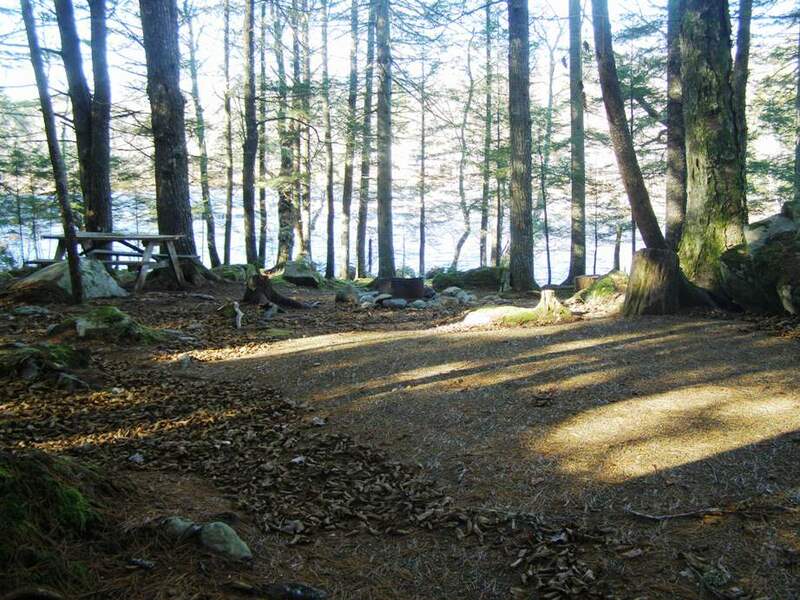 Dogs are welcome, encouraged even, to join you during your stay at Bear Falls Wilderness Campground. 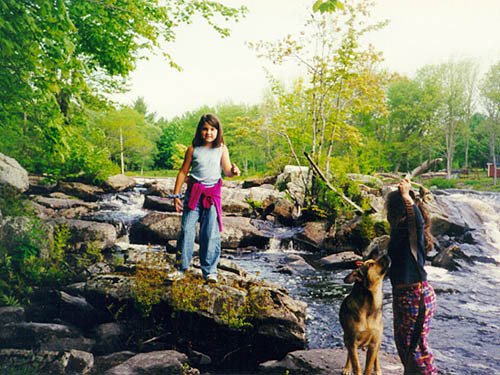 With so much forest and river frontage, Bear Falls Wilderness is an ideal place for dogs. Our Chocolate Labs, Bear and Jesse, always enjoy making new friends! 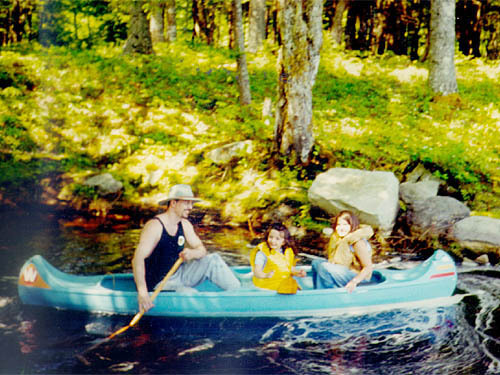 The river is pristine, and is great for swimming, kayaking and fishing. 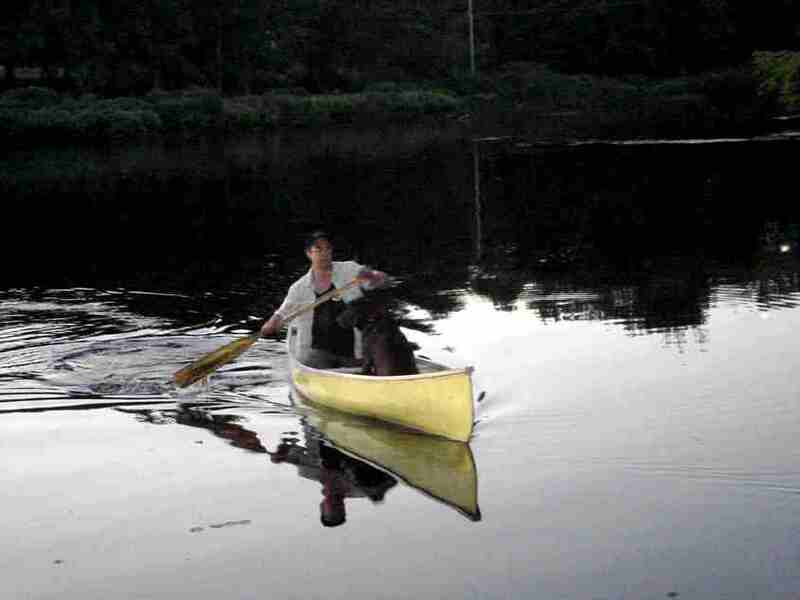 There are white water rapids, so canoeing is only for those with considerable experience. Visit the Region of Queens website for more information about activities in the area. Pick up/drop off for kayakers, canoeists. Canteen with various goods (coming soon): t-shirts, hats, ice, juice, tea, coffee.